November 16, 2012 | Comments Off on Sunglasses dilemna..
Disclaimer – this is not a dilemna I am actually losing sleep over. I immediately decided to move to the aviator frame, which I’ve always admired. Looking good on any face shape, ethnicity and age group, aviators also have a great back story – they were originally developed in 1936 by Ray-Ban for pilots to protect their eyes while flying and were released to the public soon after and thus have become a timeless classic. I’ve noticed anyone wearing aviators gets an instant style update. Anyway, nek minute, my bloody husband bought a pair of aviators (we think in some sort of sad homage to Simon Cowell), which stopped me in my tracks. 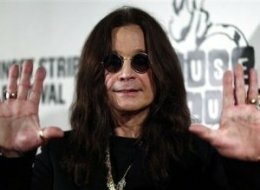 Hmm: Aviator “twinning” with my husband or the “pass the bong” Ozzy look? Just another one of my “first world dilemnas” as my daughter calls them. After seeing the wonderful “Who Shot Rock n Roll” photographic exhibition a few days ago I’ve decided to stick with Ozzy …..and rock on! ← It’s what’s underneath that counts….